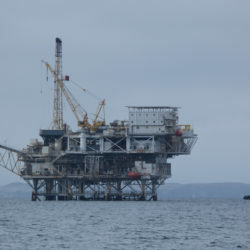 Fracking and acidizing threaten our marine wildlife, recreation, clean air, and water quality and yet they are taking place without proper environmental review from oil platforms in the Santa Barbara Channel, home to a National Park, a Marine Sanctuary, and a network of Marine Protected Areas. 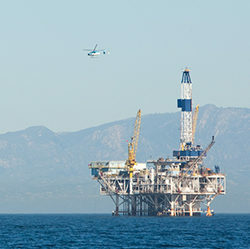 EDC has been a leader in discovering fracking was taking place from platforms off our coast, and filed the first ever lawsuit challenging the federal government’s lack of adequate review. Linda Krop discusses our continued work on this issue and protect our precious coast from the potential impacts for these dangerous practices. 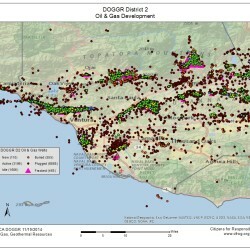 More than any other industry, oil and gas companies have been provided with loopholes and exemptions from environmental laws, including nearly 95% of the oil wells drilled in Ventura County permitted between 20012 and 2014.